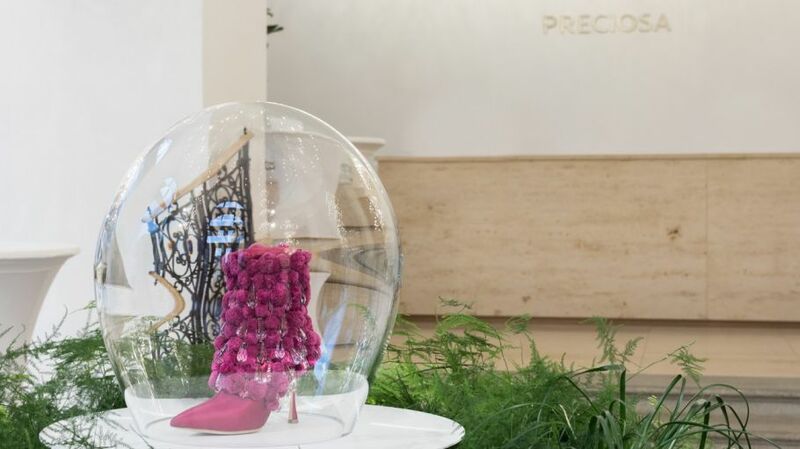 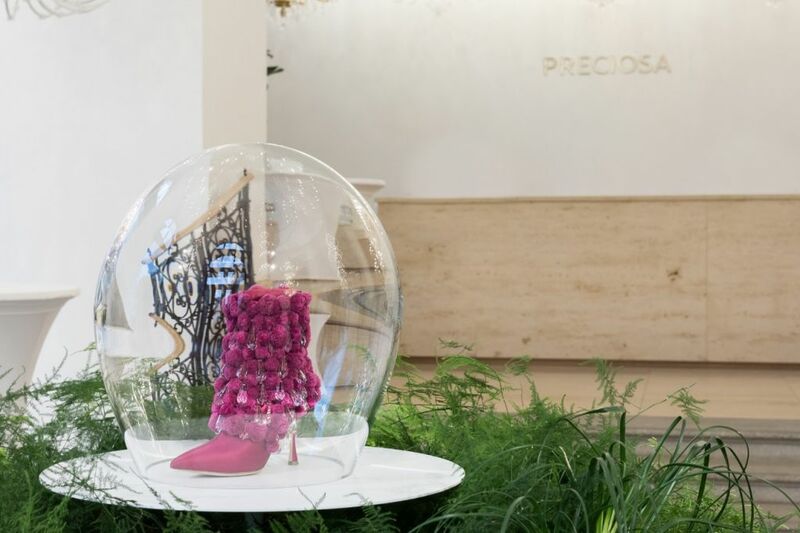 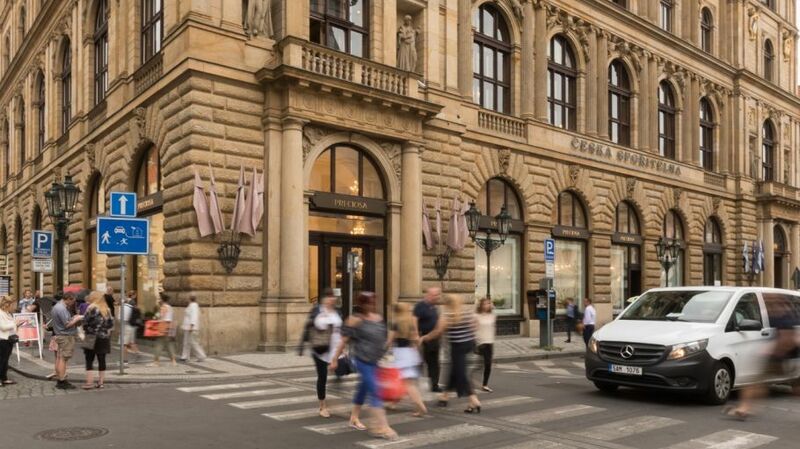 Manolo Blahnik together with Preciosa today unveiled a single pair of hand-made Bohemian-inspired stiletto-heeled boots at the Preciosa flagship store in Old Town Prague. 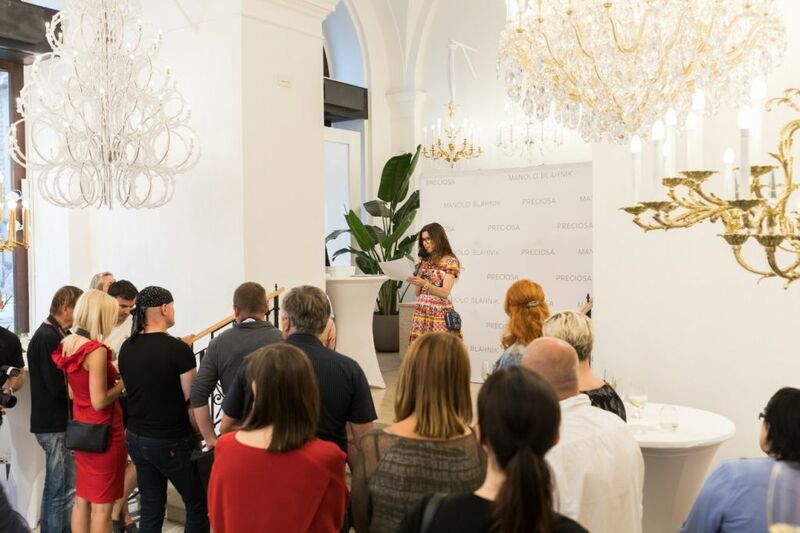 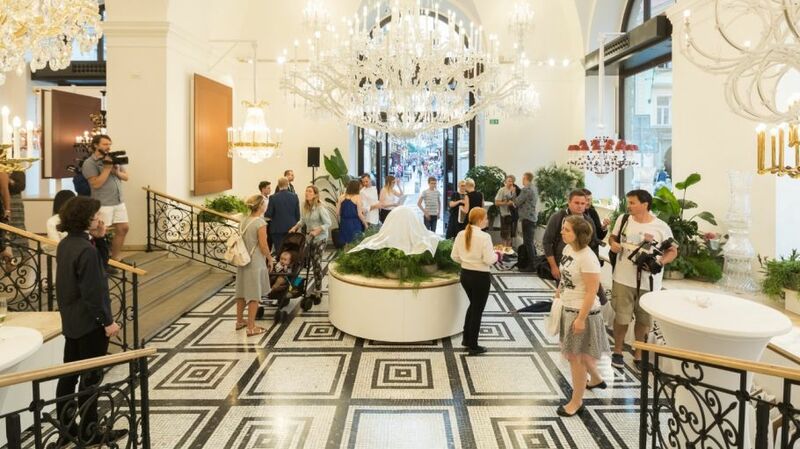 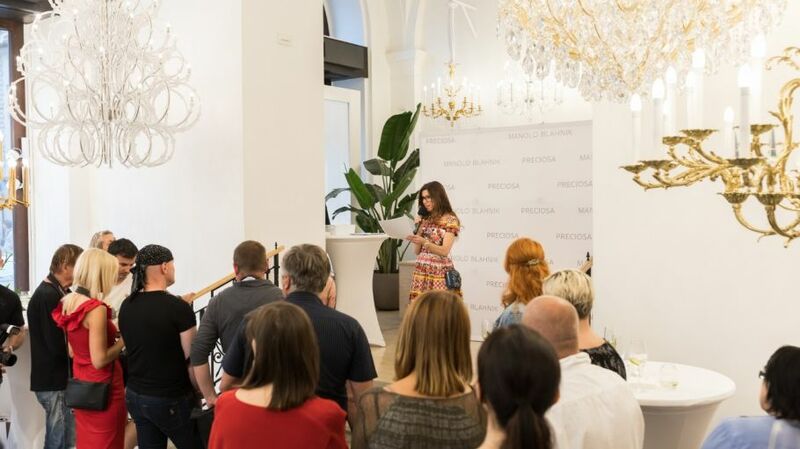 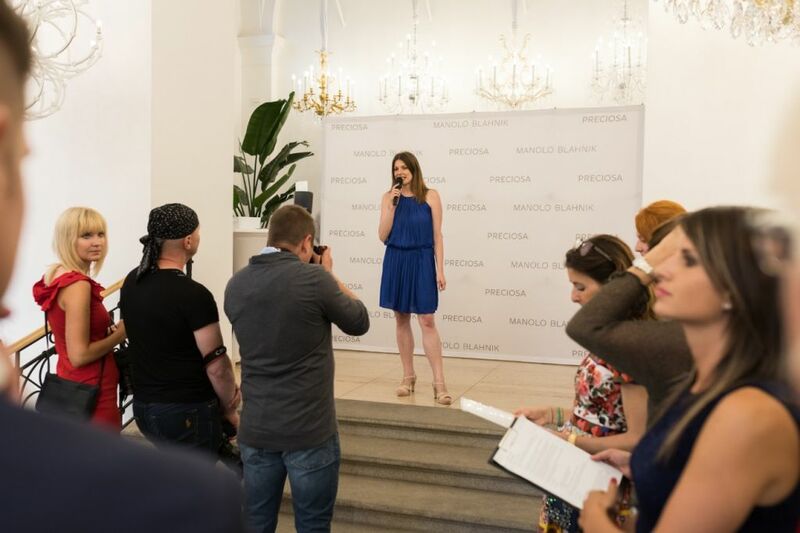 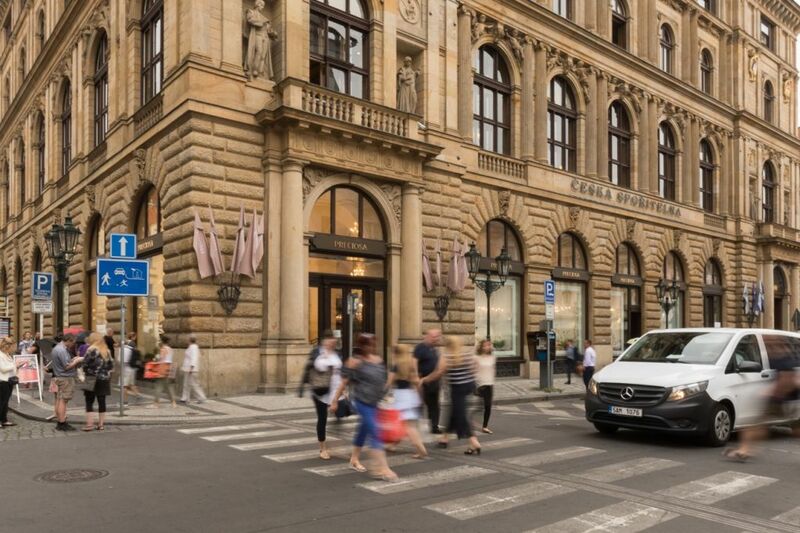 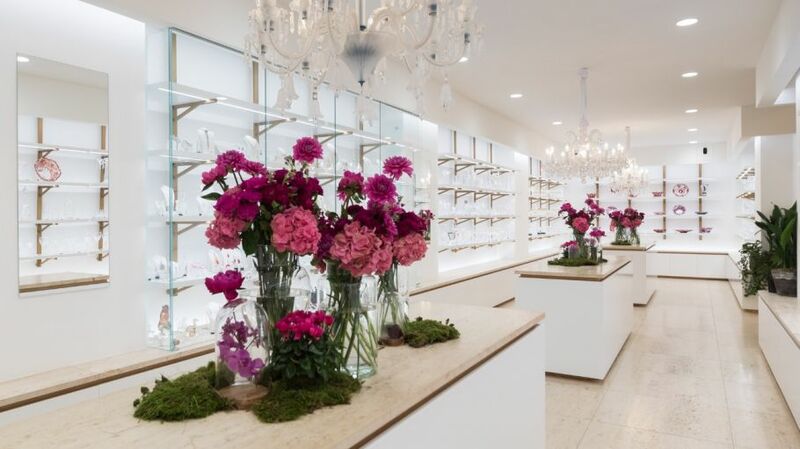 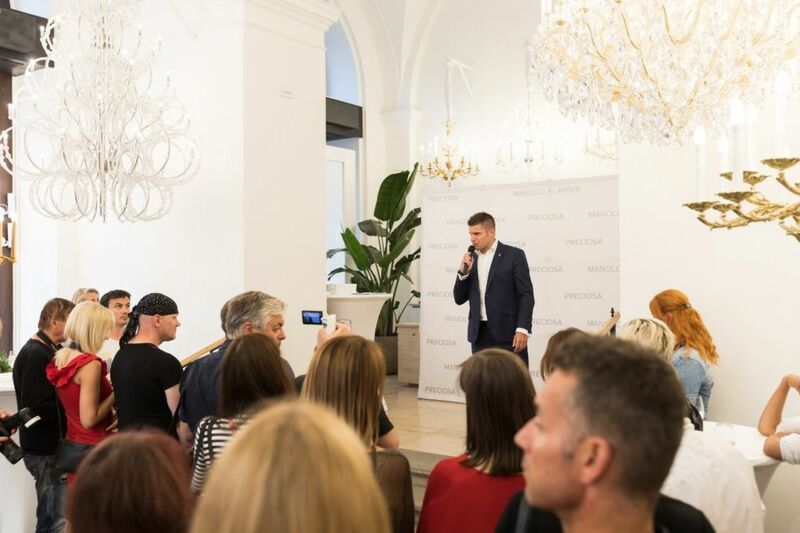 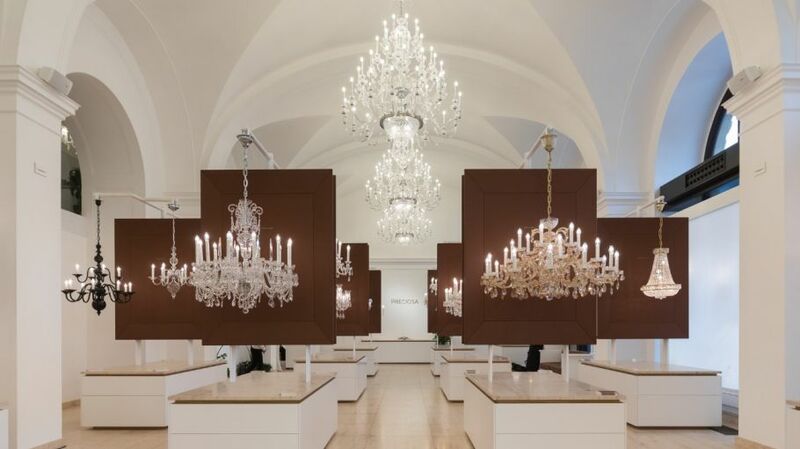 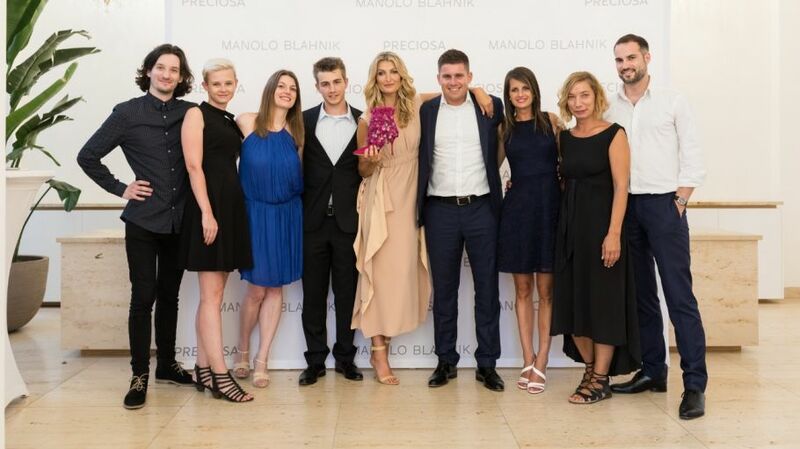 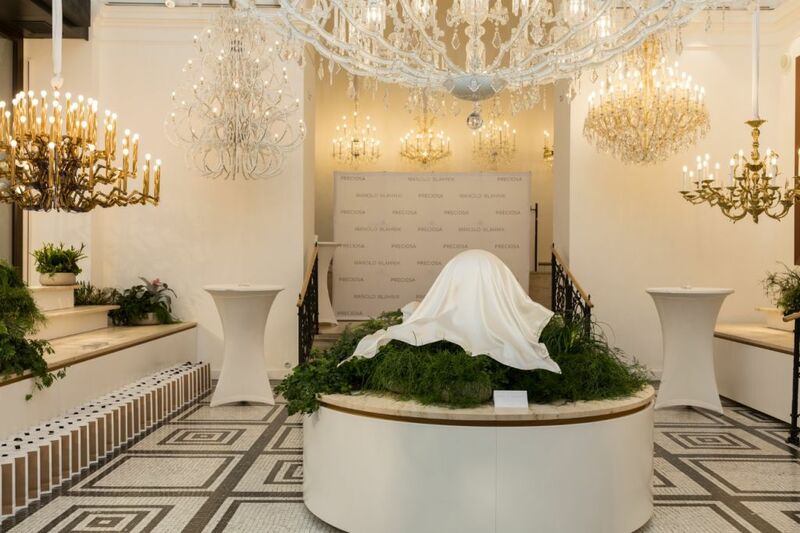 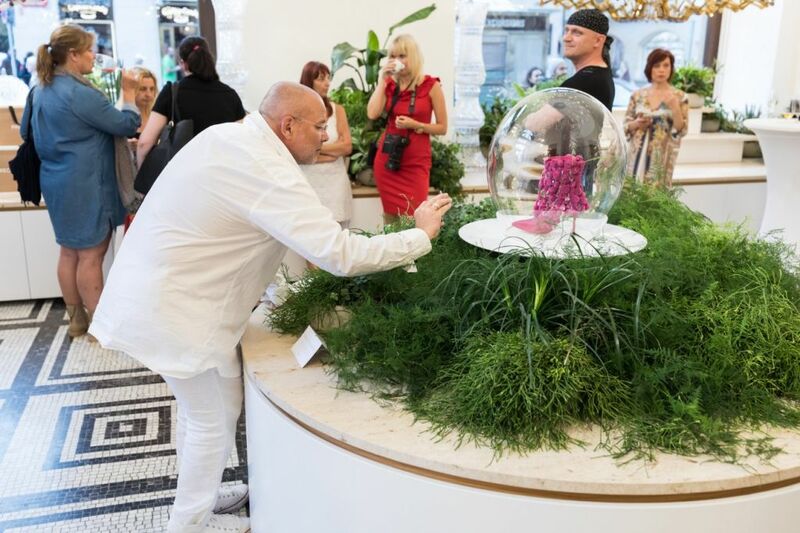 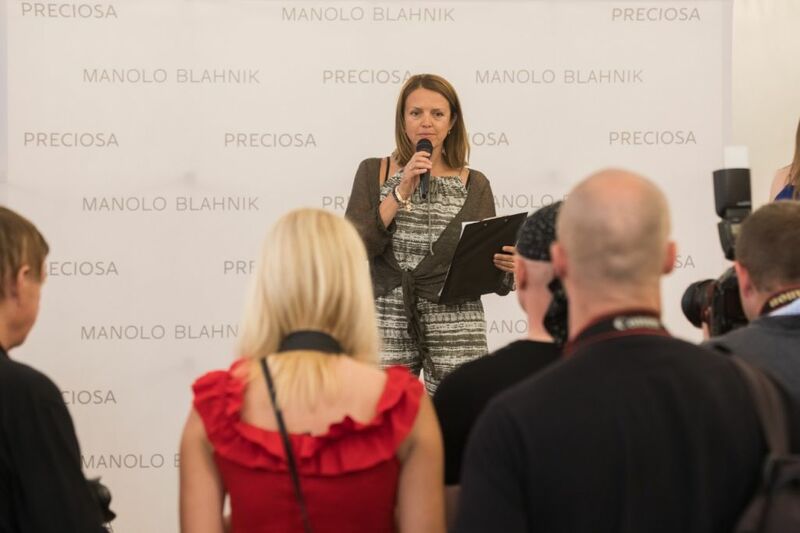 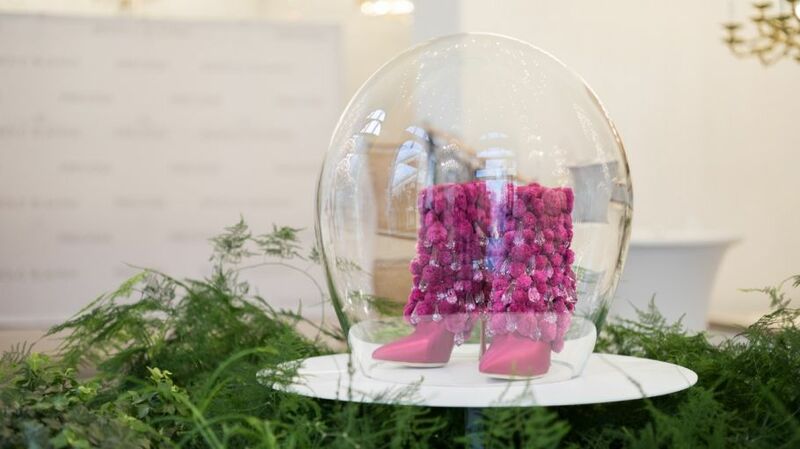 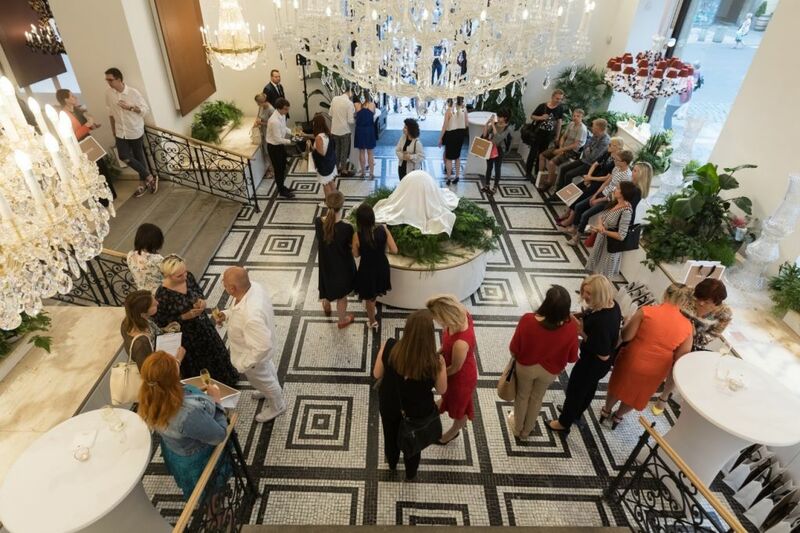 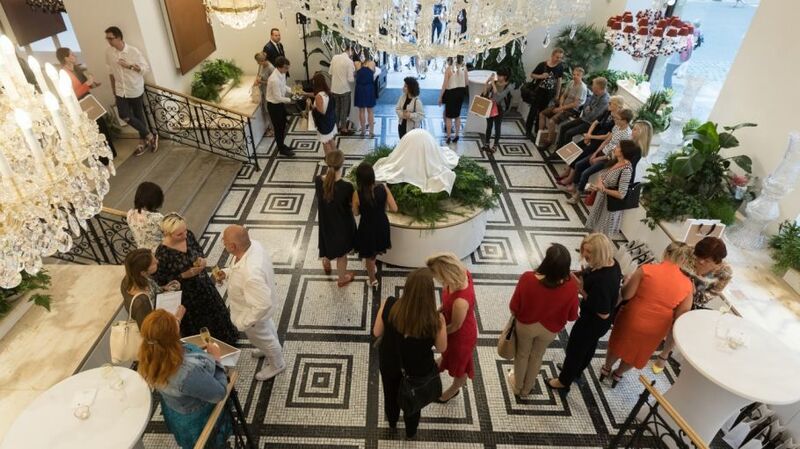 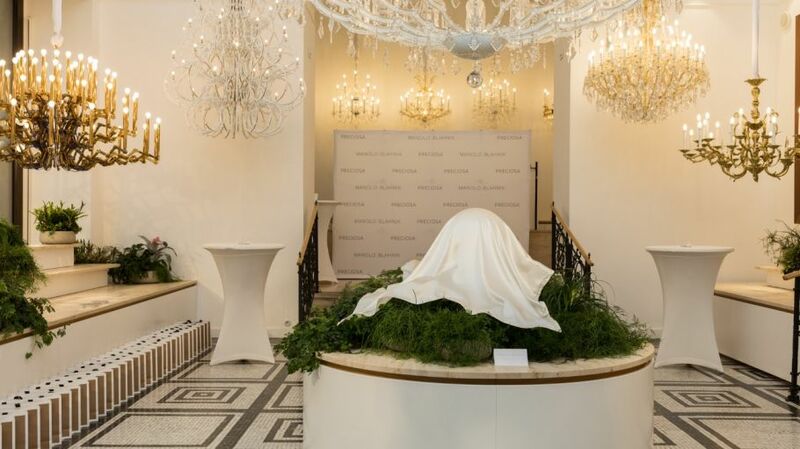 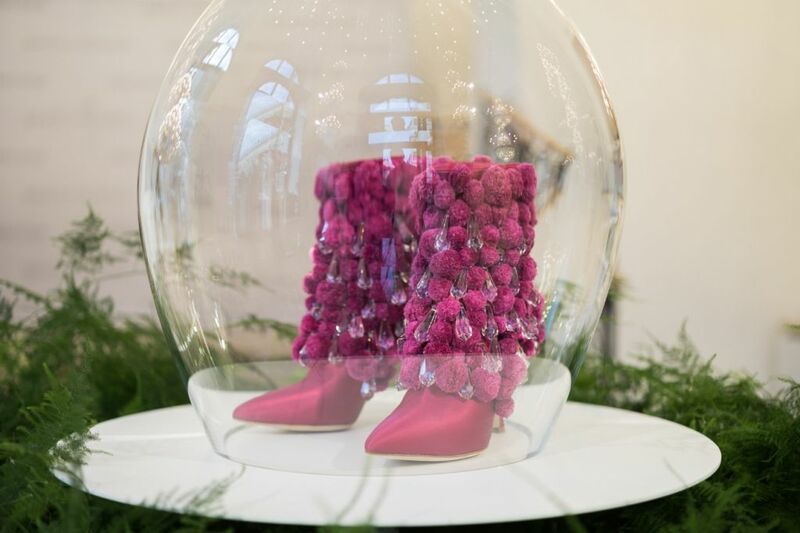 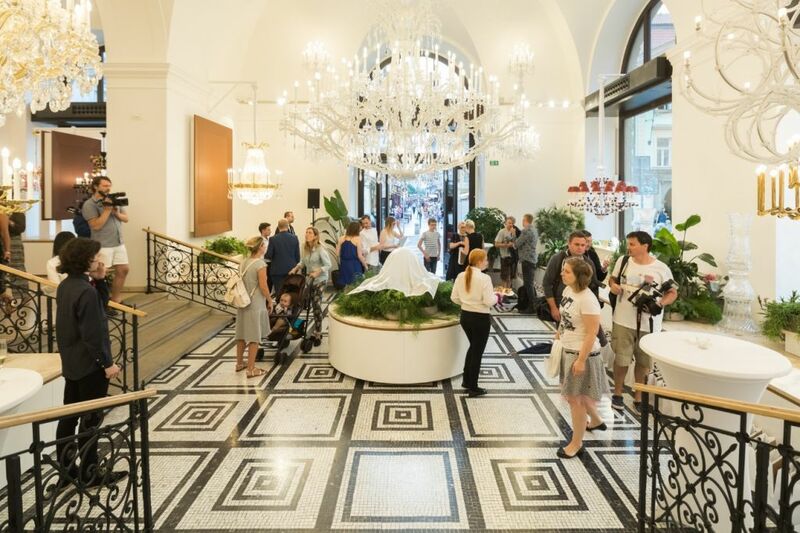 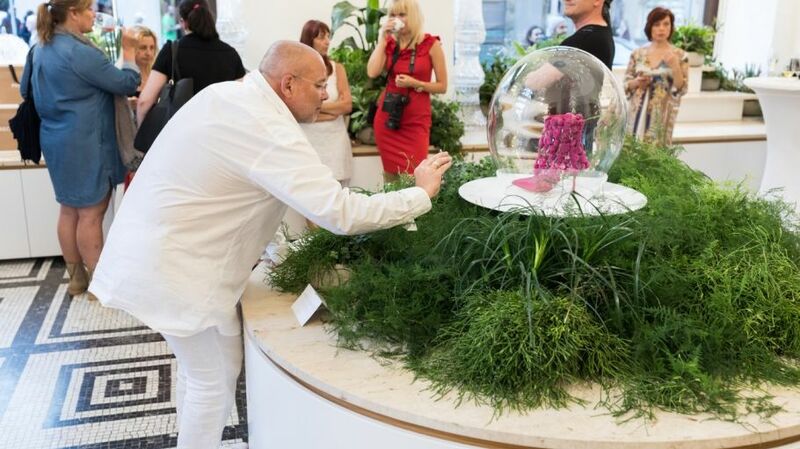 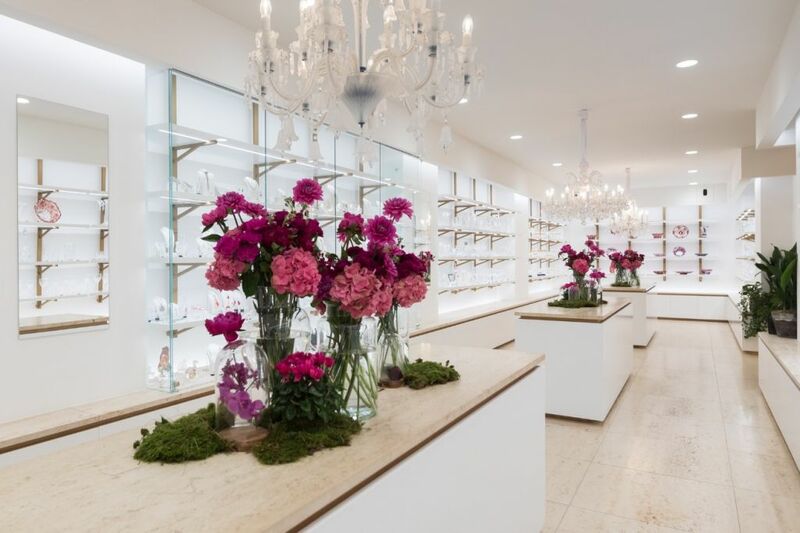 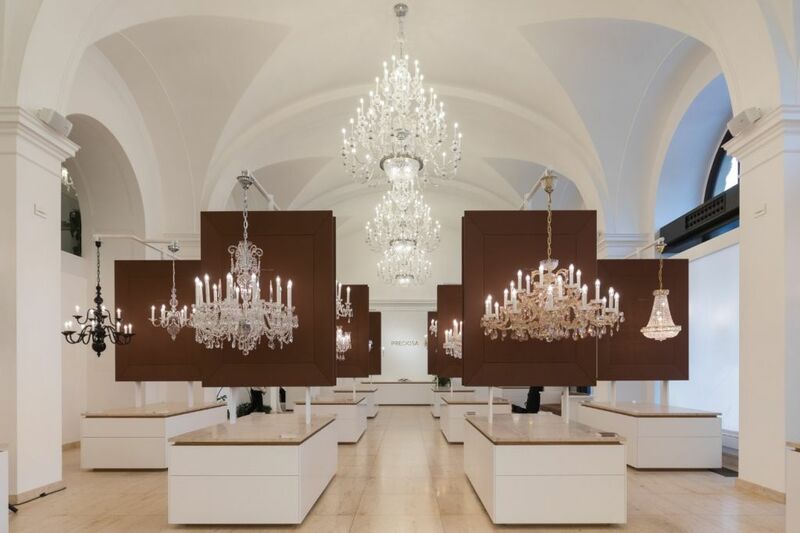 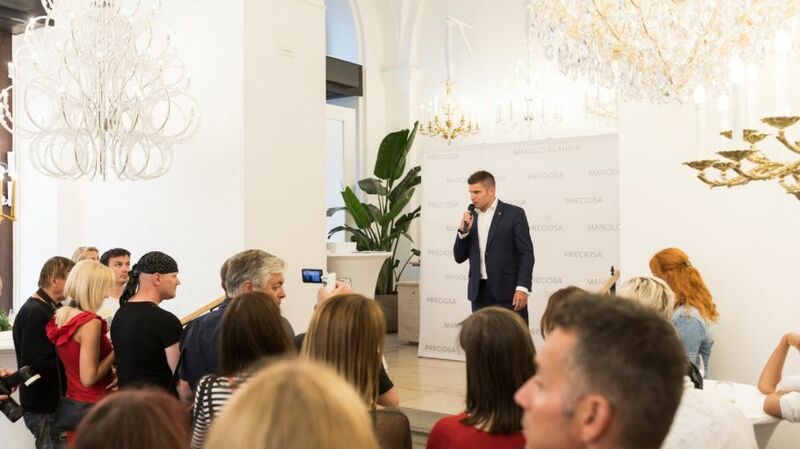 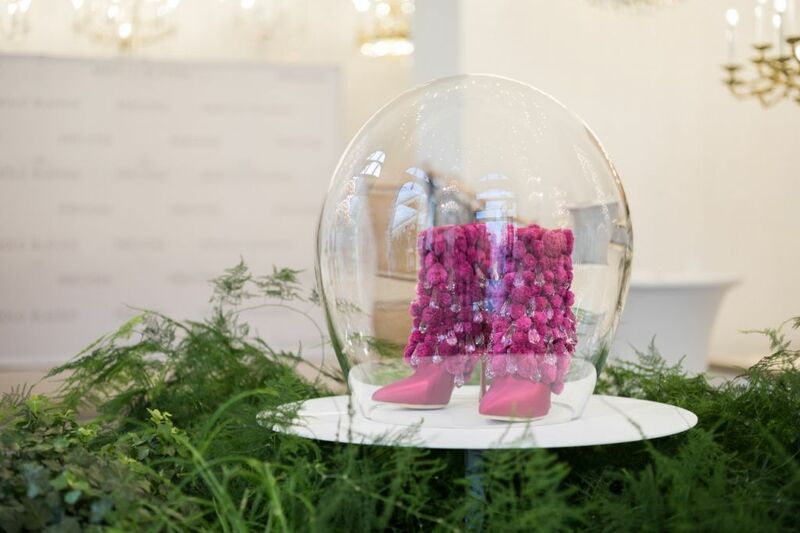 Cult fashion icon and founder of his eponymous high-end shoe brand, Manolo Blahnik, together with Preciosa, the leading manufacturer and global supplier of Bohemian crystal, today unveiled a single pair of hand-made Bohemian-inspired stiletto-heeled boots at the Preciosa flagship store in Old Town Prague. 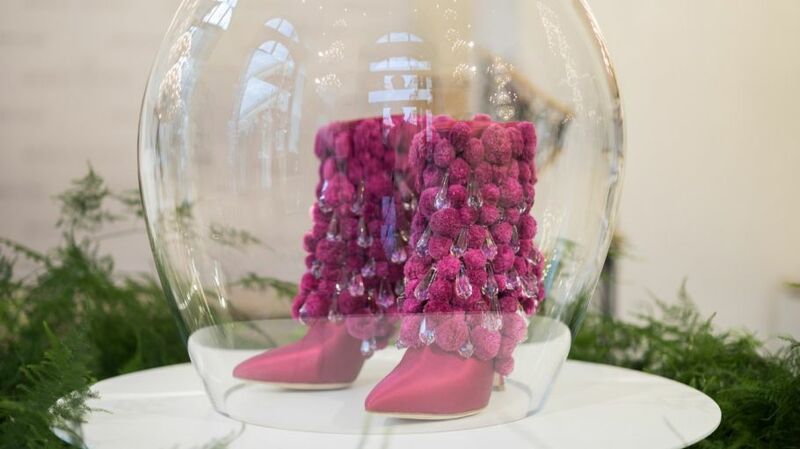 Embellished with fuchsia pompoms, more than 100 Preciosa crystal chandelier trimmings and boasting a net worth of €5,000, this one-of-a-kind pair of “Manolo’s” was created to commemorate Mr. Blahnik’s forthcoming Prague installment of The Art of Shoes and will remain on permanent display under the grand Marie Terezie chandelier at the Preciosa flagship until the exhibition’s conclusion in November. 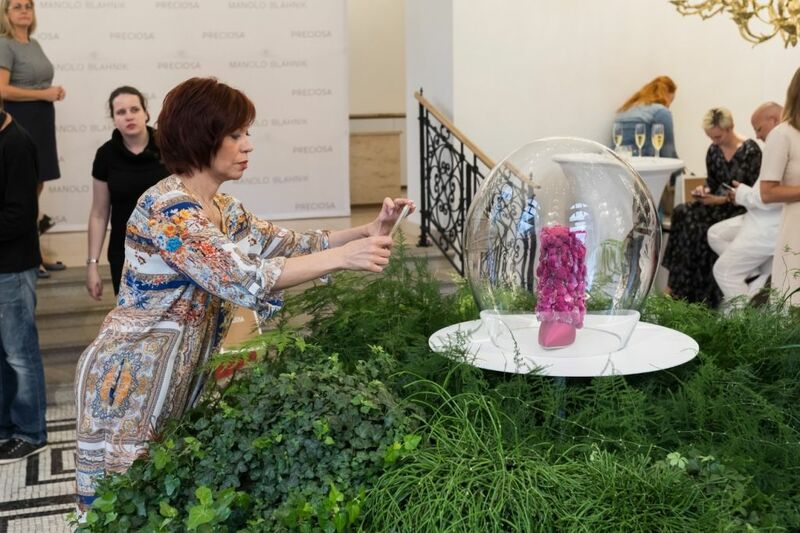 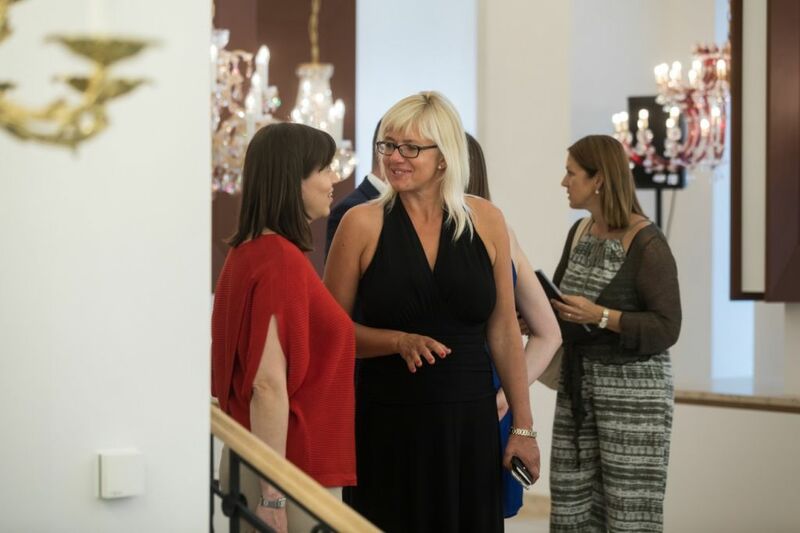 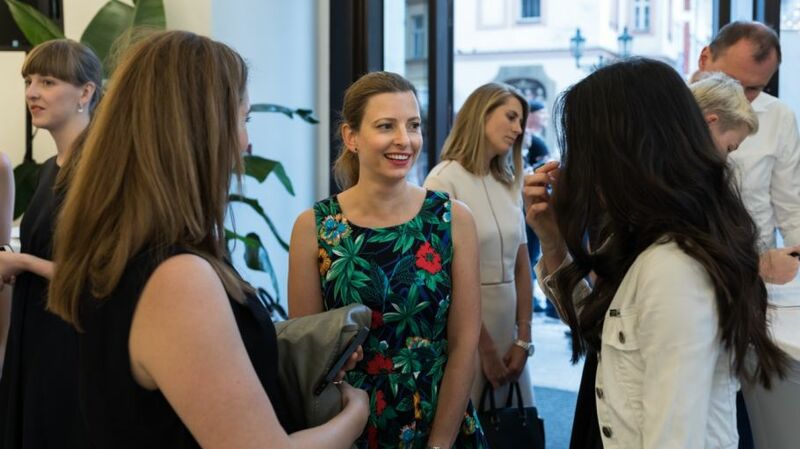 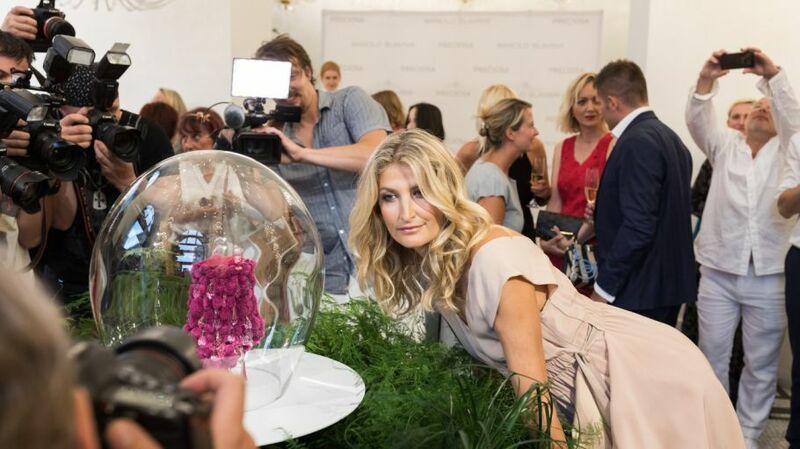 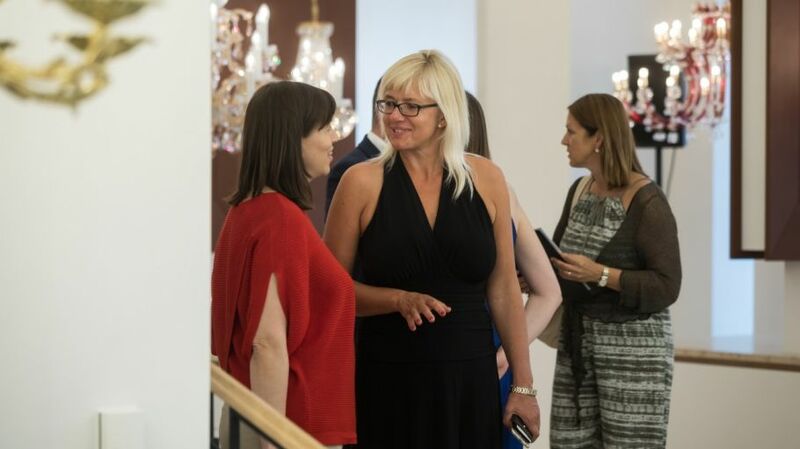 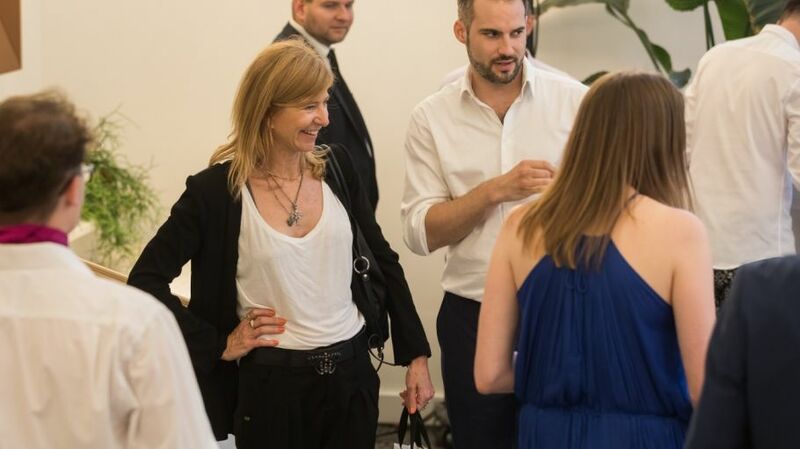 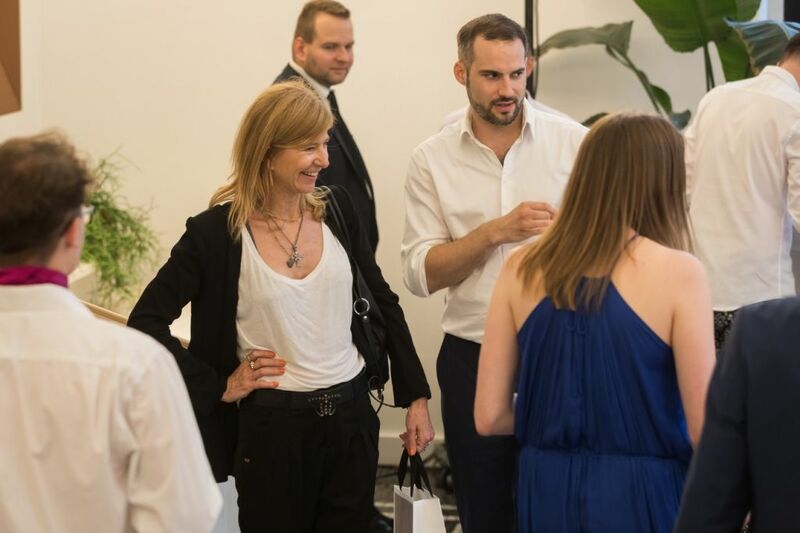 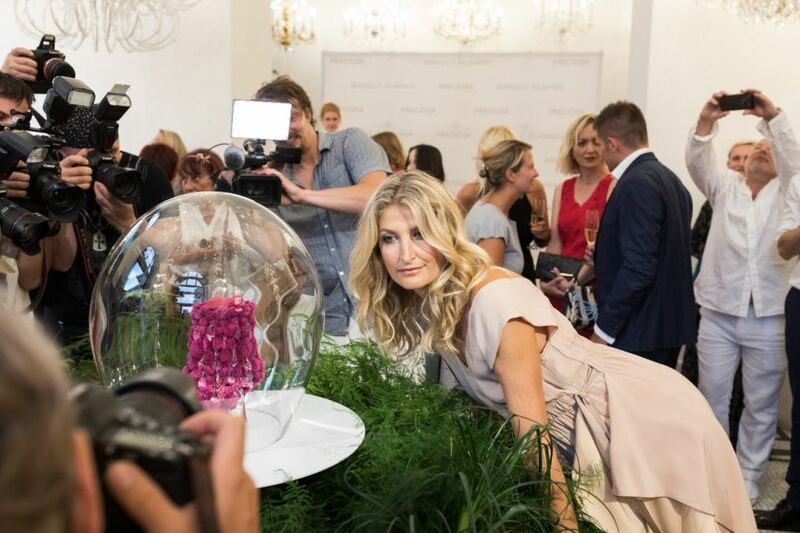 In addition to media, esteemed business partners and VIP’s who attended today’s exclusive event was Czech super model and philanthropist, Tereza Maxová, to unveil the bespoke pair. 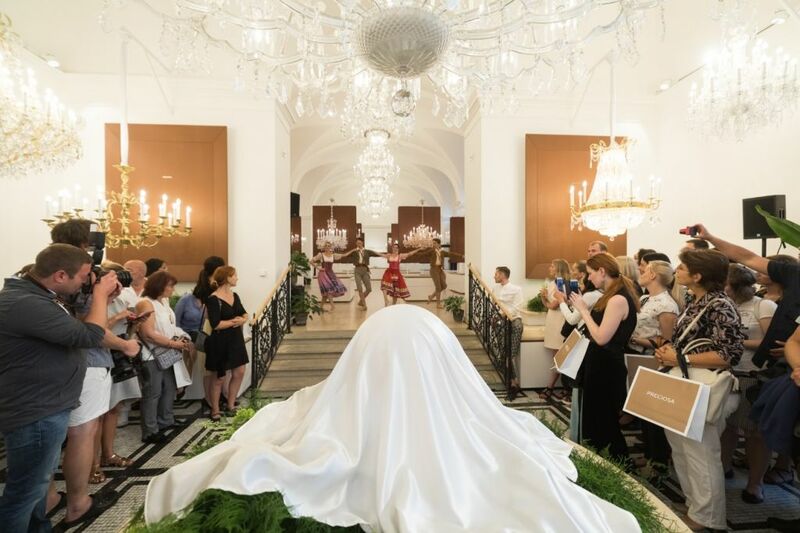 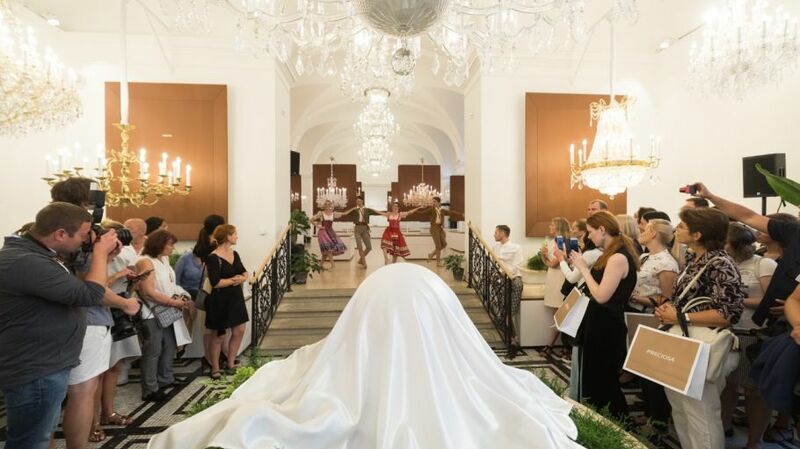 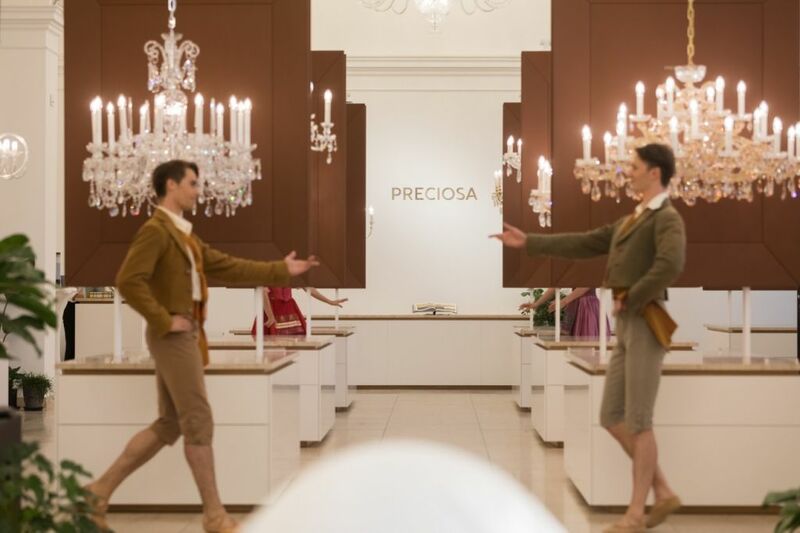 Thematically inspired by Bohemian folklore, the ceremony also boasted a performance by the Czech National Ballet, who danced to Bedřich Smetana’s Prodaná nevěsta – Mr. Blahnik’s favorite.